The municipality of Niestetal has a population of approximately 10,400 and is located in the district of Kassel in the state of Hesse, Germany. Hesse made a decision in 2012 to transition to 100% renewable energy by 2050. 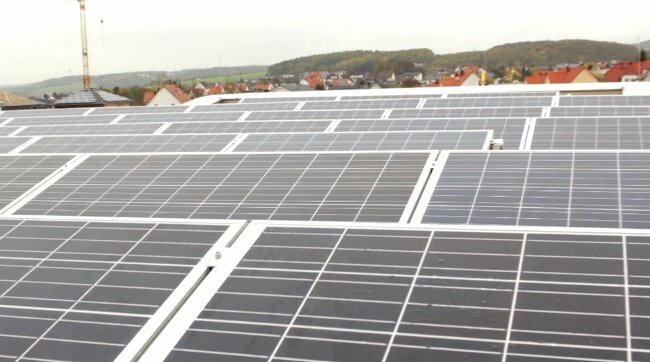 Four years earlier in 2008, motivated by the climate crisis, the people of Niestetal decided to commit to replacing all their conventional energy use with renewable resources to meet local energy demand over the coming decades. The primary resource they plan to use is the sun, in addition to biomass, wind, and geothermal, and a small amount of hydropower. This target is central to the municipality's Integrated Climate Protection Plan created in 2009, which contains approximately 20 measures that multiple community stakeholders can implement to reach the municipality's declared goal to become carbon neutral by 2034. Key to Niestetal's 100% renewable plan is to adopt high efficiency construction standards. With the support of public incentives that help bring down up front costs, five percent of the community's homes underwent energy efficiency retrofits from 2011-2013. Homeowners reportedly reduce their home energy requirement by 20-30% and have their investment in the energy upgrades pay back within 5-6 years. Niestetal is also utilizing the renewable energy expertise of several local companies and institutions,which include the University of Kassel, the energy research network deENet, and the international solar photovoltaic inverter and monitoring company SMA. SMA provides about 3000 local jobs, which helps add to the local value chain created by the renewable energy transition. 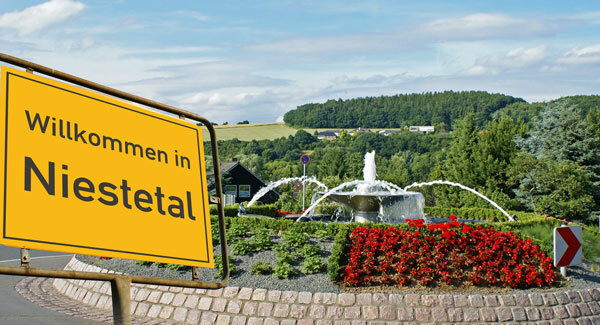 Niestal is one of four municipalities making up the German section of the Energy Region program, an EU funded cooperation between several European countries to further sustainable development of renewable energy. 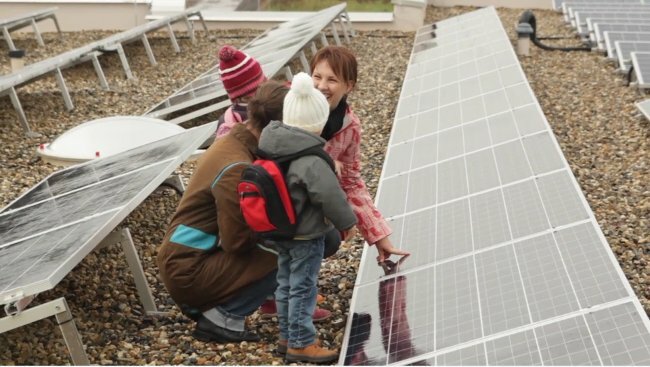 The Energy Transition in Niestetal, Germany - video with subtitles from Energy Democracy TV on Vimeo.